BRETHREN, when God made a promise to Abraham, since he had no one greater by whom to swear, he swore to himself, saying, “Surely I will bless you and multiply you.” And thus Abraham, having patiently endured, obtained the promise. Men indeed swear by a greater than themselves, and in all their disputes an oath is final for confirmation. So when God desired to show more convincingly to the heirs of the promise the unchangeable character of his purpose, he interposed with an oath, so that through two unchangeable things, in which it is impossible that God should prove false, we who have fled for refuge might have strong encouragement to seize the hope set before us. We have this as a sure and steadfast anchor of the soul, a hope that enters into the inner shrine behind the curtain, where Jesus has gone as a forerunner on our behalf, having become a high priest for ever after the order of Melchizedek. St John wrote a book containing thirty homilies. Each homily deals with one virtue, and progressing from those that deal with holy and righteous activity (praxis) unto those that deal with divine vision (theoria), they raise a man up as though by means of steps unto the height of Heaven; thus the book is called “The Ladder of Divine Ascent”, and the saint is know as “Climacus”. 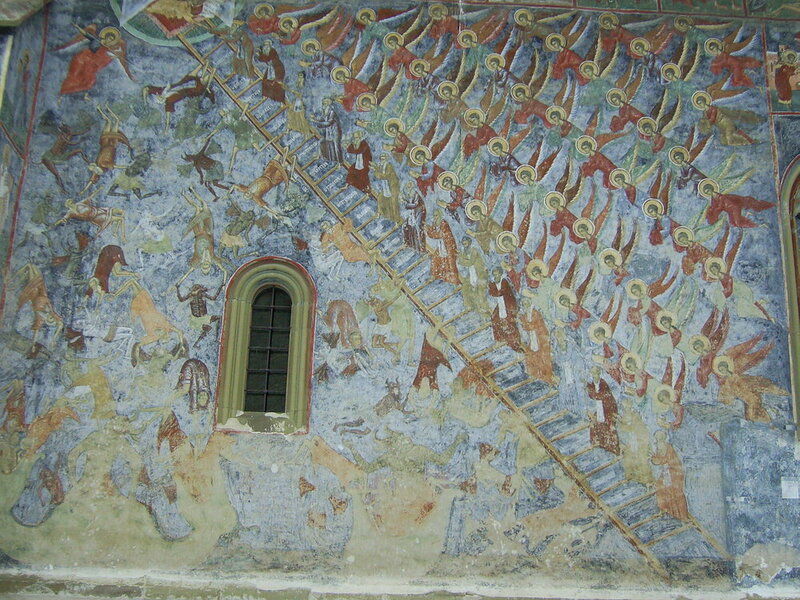 “The Ladder of Divine Ascent” is so greatly is this God-inspired book esteemed in the Orthodox Christian Church that its author, St. John Climacus, is celebrated twice a year – on 30th March (the day of his repose), and the Fourth Sunday of the Great Lent. Each monastic community of the Orthodox Church reads “The Ladder of Divine Ascent” during each day of the Great Lent, in their common dining hall (or refectory) during the daily meal. This is a period of strict fasting, struggle, prostration and extensive prayers; when only one meal is eaten in the day and after 3 pm, and water is only consumed during 3-6pm. “Let us try to learn Divine truth more by toil and sweat than by mere word, for at the time of our departure it is not words but deeds that will have to be shown” (Step 26:36). Saint John reposed in 603 AD, at eighty years of age. Having raised up a sacred ladder by thy words, thou wast shown forth unto all as a teacher of monastics; and thou dost lead us, O John, from the purification that cometh through godly discipline unto the light of Divine vision. 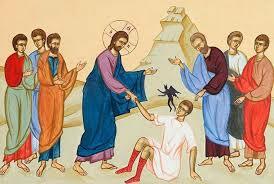 O righteous father, do thou entreat Christ that we be granted great mercy. On the height of abstinence did the Lord establish thee as a true and unerring star, guiding the ends of the world by thy light, O John, our instructor and father. Like the lofty ladder which Jacob saw reaching to the Heavens, even so, by thy godly works, thou hast raised a ladder that bringeth all the faithful unto the heights of virtue, O blessed Father John.